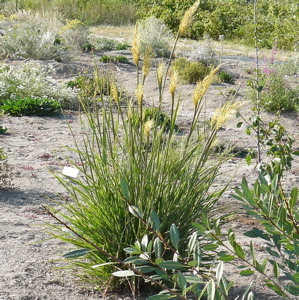 Indian Grass is an elegant native warm-season bunchgrass, turning yellow-bronze in fall, great winter accent. Yellow seed heads with whitish hairs shimmer silver and gold in late summer. Tolerates a wide variety of soil types. Height x Width: 5 ft. x 1-3 ft. Native to: Western, Central U.S.